Ustream has updated its iOS application to additionally support the iPad. In addition to access to both live and recorded content, users are now able to stream to their own Ustream channel with the iPad optimized app. The native navigation system allows users to browse through featured channels and categories and search for Ustream content. When broadcasting from an iPad 2 device, users can choose to do so with either camera and can fluidly switch between the two mid-broadcast. Also new is support for AirPlay, meaning that users can stream to any Apple TV device. Whether watching a stream from your iPad, iPhone, or Apple TV, you can take part in the live chat regardless. If you want to listen to your media on-the-go, headphone reviews is the best place to find the latest gear. 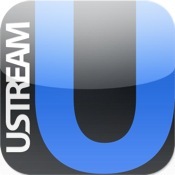 Ustream is downloadable from the iOS App Store free of charge.